Grow Your Professional Learning Network Before You Crash and Burn! Education is a profession in which connections are a must. We connect with kids, families, colleagues, and the community in order to provide the best learning environment. What about connections outside of our norm? Educators need a network where they go to receive affirmation, are challenged to grow, and stay current on best practices to support kids. Learning must be ongoing for educators to truly be effective in their efforts to impact their students. We can no longer live in our comfort zone of six hour PD sessions, book studies, and administrative directives for what is to be learned. Every educator must make the commitment to take charge of their own learning; to branch out beyond the local networks and into one of endless opportunities… it is time to step into the social media side of professional learning and grow a PLN (personal learning network). As a lead learner, I have high expectations for networking within my school family. We are all in different places regarding the level of comfort with social media such as Twitter, but I am proud to say that @CentralCabotpK4 we all have a Twitter handle! I encourage the use of Twitter not only to brand our school and showcase the greatness of our kids, but to promote professional connections and learning for each teacher. My friend Brad Currie once tweeted a graphic that said, “Connect Yourself Before You Wreck Yourself!”, and is the inspiration for the title of this post! Although this phrase makes us laugh, there is so much truth behind it. We absolutely cannot be who we are meant to be for kids if we aren’t connected professionally. We need to seek learning continually, and look for people to follow who will uplift, challenge, inspire, and ignite the passion within us. There is no longer an excuse to NOT be a connected educator. When I hire teachers, this is something I want to know. If the person interviewing isn’t connected, I will not consider the applicant. YES…it is THAT important. So…here are some questions to ponder, and they may make you uncomfortable. I say often, “If you are too comfortable, you aren’t growing.” Kids don’t have time for us to be comfy and cozy…they need us to be out of our box, looking for ways to encourage, inspire, and help them find their genius. We stay uncomfortable for THEM. Think on these questions and be honest with yourself…ready? Are there any of the above listed that you have never heard of? If so, are you willing to find out more about them? Do you share with other educators publicly, and often? Do you participate in educational chats via Twitter and Voxer? How often do you celebrate what you do with kids on social media (or do you at all)? How many times a week do you share something you found on social media with a colleague (or do you ever)? Do you connect with families and the community via social media (Twitter, Facebook, Instagram, Google+)? Do you have a professional profile that encourages others to learn along with you? If you are unable to answer some of these questions, and are feeling uncomfortable…don’t stress! You can change that today by getting yourself connected in multiple ways. Follow great people and organizations on Twitter to fill your feed with knowledge and inspiration. Find educational and inspirational Facebook pages to add to your personal feed. Set up your professional profile on Google+ and LinkedIn and search for other educators. Most importantly…SHARE who you are with your network. Don’t hide your love for what you do. Share your passion and curiosity with others. Be vulnerable and seek knowledge in areas where you are in need. Do this for your personal growth, but most importantly, do it for the kids you invest in each day. Avoid the wreck. Don’t crash and burn. Connect yourself before your wreck yourself. I don’t want people to see my business. Social media is all negative and maybe even the devil. I don’t want to be connected. You make time for things that are important. Contributing to and learning from a PLN is important and a top priority. People better see your business if they are going to trust their kids with you. Our profession should promote transparency, the love of what we do, and how much we value our own learning. For those who follow the wrong people and are in the wrong circle, social media can be negative. It is about who you choose to connect with, and how you choose to contribute. The devil will stay away from positivity, and so will the energy vampires. You don’t have a choice in the matter. We are obligated to be connected locally, nationally, and internationally. It is part of what we do for our kids. NO MORE EXCUSES. Period. The time is now…to get public, to get connected, to share, to promote this amazing profession in which we have dedicated so much of ourselves to. It is no longer an option to learn in our box. It is time to jump out and squash it. NOW. 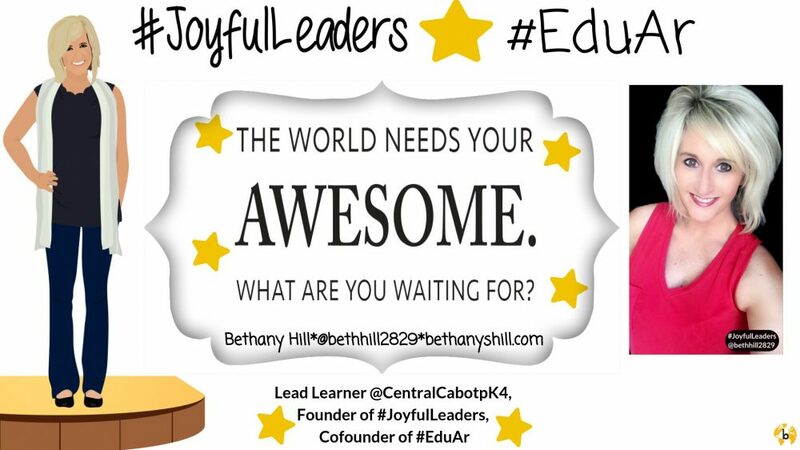 This entry was posted in Edcucation, Leadership, professional learning, Relationships, school culture, social media and tagged adult learning, Education, professional learning networks. Bookmark the permalink.